Accelerated soil erosion exerts adverse effects on water and soil resources. Rainfall erosivity reflects soil erosion potential driven by rainfall, which is essential for soil erosive risk assessment. This study investigated the spatiotemporal variation of rainfall erosivity and its impacts on sediment load over the largest freshwater lake basin of China (the Poyang Lake Basin, abbreviate to PYLB). The spatiotemporal variations of rainfall erosivity from 1961 to 2014 based on 57 meteorological stations were detected using the Mann–Kendall test, linear regression, and kriging interpolation method. The sequential t test analysis of regime shift (STARS) was employed to identify the abrupt changes of sediment load, and the modified double mass curve was used to assess the impacts of rainfall erosivity variability on sediment load. It was found that there was significant increase (P < 0.05) in rainfall erosivity in winter due to the significant increase in January over the last 54 years, whereas no trend in year and other seasons. Annual sediment load into the Poyang Lake (PYL) decreased significantly (P < 0.01) between 1961 and 2014, and the change-points were identified in both 1985 and 2003. 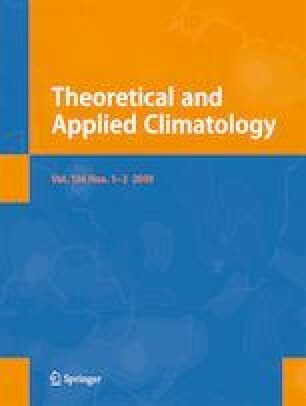 It was found that take annual rainfall erosivity as the explanatory variables of the double mass curves is more reasonable than annual rainfall and erosive rainfall. The estimation via the modified double mass curve demonstrated that compared with the period before change-point (1961–1984), the changes of rainfall erosivity increased 8.0 and 2.1% of sediment load during 1985–2002 and 2003–2014, respectively. Human activities decreased 50.2 and 69.7% of sediment load during the last two periods, which indicated effects of human activities on sediment load change was much larger than that of rainfall erosivity variability in the PYLB. This work was supported by Special-Funds of Scientific Research Programs of State Key Laboratory of Soil Erosion and Dryland Farming on the Loess Plateau (A314021403-Q2), the Non-profit Industry Financial Program of MWR, China (201501049), Science & Technology Development Foundation of Northwest A&F University (A289021104), and Youth Innovation Promotion Association, Chinese Academy of Sciences (2011289).